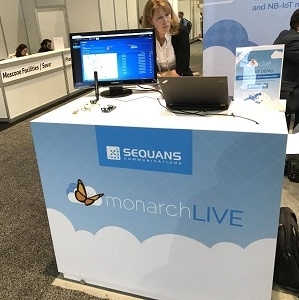 At the Mobile World Congress, which was held in Barcelona earlier this month, Sequans showcased the Monarch N, a platform designed and optimized specifically for NB-IoT operation to enable massive IoT deployment. Monarch N is a single-chip LTE Cat NB1/NB2 platform, compliant with 3GPP release 14/15 of the LTE Advanced Pro standard. Monarch N is highly integrated and includes all primary functions in a small chip scale package (CSP), enabling modules smaller than 10 x 10 mm. Monarch N leverages Sequans’ 15 years of chip design optimization experience, including several years with its industry-leading, dual-mode LTE for IoT platform, Monarch. The optimizations in Monarch N have resulted in a highly efficient and cost-effective solution for even the most price-sensitive IoT applications. Sequans showcased this NB-IoT Platform at the Mobile World Congress in Barcelona earlier this month. Click here to learn more about the Monarch N Platform.